Latest news on Guild of Heroes update . The new game patch, released for a few days, brings with it big news. The major revolutions concerning the system of missions, made less linear and more complex, and the crafting system for upgrading the equipment becomes more complex. The potential of the players and the relative level has been changed to make uniform the growth of the difficulties with respect to their level. Finally, the economic system of the game was completely revised; by the amount of money earned during the missions, at the cost of upgrading a piece of equipment or skill. The news have been more or less welcomed by Guild of Heroes players, although the balance is more likely to be a negative judgment. But before we tell about it, let’s see in detail what’s new. Here you will also find a video about it on my YouTube channel. 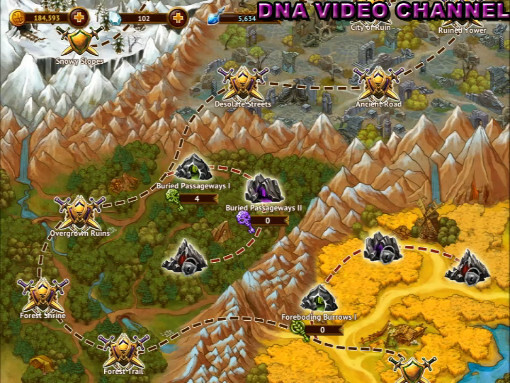 Guild of Heroes, renews the mission map and not just graphically. The amount of missions has increased considerably, mainly thanks to the introduction of different levels of dungeon. 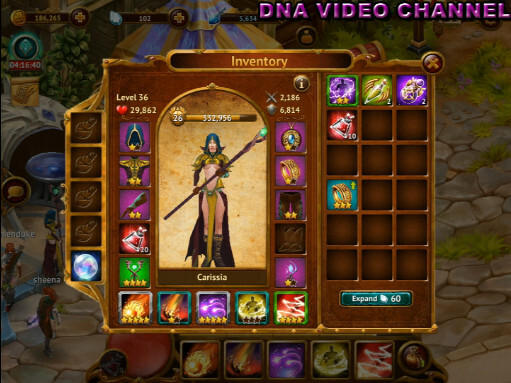 As you go through the game, overcoming various missions, you can reach new dungeons. The courses will help you understand what face to achieve your goal. 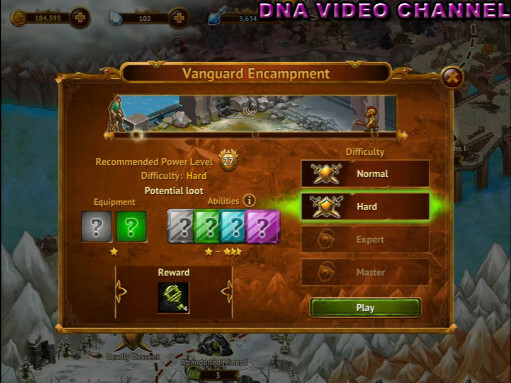 As you may have guessed, the more the dungeon is advanced, the greater the difficulty in completing it, but at the same time, the greater the reward you can receive. In addition to the introduction of the dungeons, another novelty is the introduction of a further level of difficulty and the modification of the final prize. Before the upgrade, in fact, increasing the difficulty of the mission increased the number of keys we could obtain. Now, as seen just above, you will get different keys for each level of difficulty faced. So it is clear that the two missions/dungeon paths, are closely linked. In some cases, given the significant increase in difficulty from one level to another, we will have to wait to become much stronger to deal with more advanced dungeons. Guild of Heroes Update – Equipment. I saw the stars !!! But the most noteworthy novelty of the Guild of Heroes update is the revolution of equipment and skills, introducing the stars that indicate its potential. 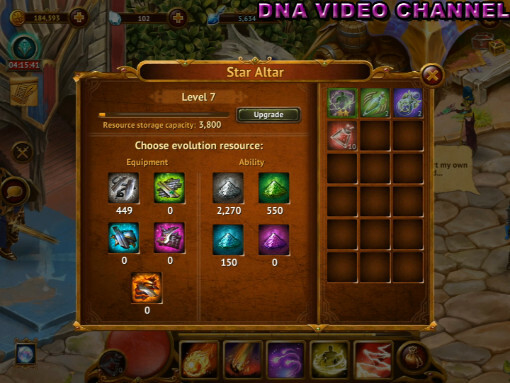 In addition to the classic color that indicates the rarity of the equipment (gray, green, blue, purple and gold), each piece of equipment also has a number of stars indicating its level of enhancement. It is natural that a five-star weapon or armor is more likely to be strengthened and become stronger. The reinforcement is always using the blacksmith, as they did before the upgrade. However for each star level, we will have a number of upgrades available to the blacksmith using as a material other pieces of equipment. This is also very similar to what happened before the last patch of Guild Of Heroes. The novelty lies in the need to use star dust to unlock the next star of the equipment or skill. 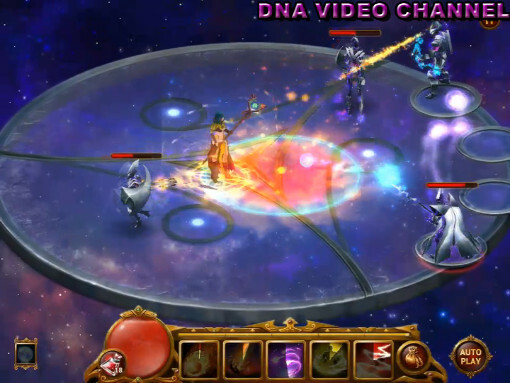 Star dust is obtained by sacrificing equipment or skill levels of the desired level. At least two pieces are required for minimal reward, but being the limited number of attempts, you should wait and try to fill all the slots in order to obtain a larger amount of stardust. After choosing which material sacrifice, we slingshots in combat with four gods that we will have to defeat if we get our reward. The amount of upgrade is considerably higher than before, even if the requirements, for each of them, are decreased. The situation is compounded by the introduction of star dust, as it is now necessary to have the right powder to be able to enhance our equipment. Update Guild of Heroes – So what? From what I have read around the net, many judge negatively this update as it has made it more difficult to bring to the highest level their equipment. For me, perhaps because of my not too high, i find that the update has simplified upgrades. The introduction of the stars made it simpler to interpret the real power of your equipment. It ‘s true that this entails a greater quantity of upgrades to achieve the maximum level of the same and is now also necessary to have the equipment of the same rarity of what to be strengthened in order to obtain the star dust needed upgrading. However, the cost required by each upgrade has been reduced and it is now possible to upgrade its equipment in small steps. In my case, for example, before the patch i had the equipment difficult to improve because of the difficulty of finding equipment to use as material. After the upgrade, instead I found myself with an equipment with lower requirements for upgrading and especially i recovered simpler necessary material than before. There is also to be said that we can also find some consistency with what Guild of Heroes developers have achieved. Before the fact of stardust concept was already present for skills, to enhance the rare skills had to sacrifice other rare skills. Even the choice of modifying the economic system and adapting your character’s potential to the new mission system in my opinion made the game even more engaging. To make you understand what I mean, for a few weeks i did not play anymore at Guild of Heroes because I was bored a bit. After the upgrade is two days I do not play anything else. So if you’re already playing, let me know what you think leaving a comment on bottom of this article. If you liked this article, share it with your friends and subscribe to my pages and to my YouTube channel to keep you informed about my latest articles. It costs you nothing, but for me it is an incentive to keep the blog alive.